Is gluten making me sick? What Does My Poop Mean? Few things can cripple a person’s well-being like anxiety. Some worry is normal. But when that worry becomes non-stop…when you can’t keep your mind from wandering from one issue to the next… when you start obsessing over the smallest of issues… you need help. Left unchecked, anxiety can trap you in a cycle of negativity that can undermine your relationships and your physical health. As many as 40 percent of anxiety sufferers are plagued by other medical conditions, such as irritable bowel syndrome and depression. But you could be just 10 steps from living the calm, stress-free life you deserve. 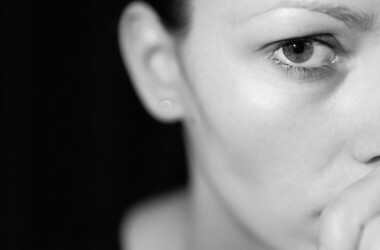 If you suffer from anxiety, you’re not alone. In fact, over 13 percent of the population-19 million people-suffer from involuntary, difficult-to-control, irrational thoughts. And, because anxiety is so quickly missed or dismissed by doctors, the average individual with an anxiety problem ends up consulting 10 medical professionals before getting a correct diagnosis. And then guess what happens? If you guessed a prescription for a drug, you win the goldfish. 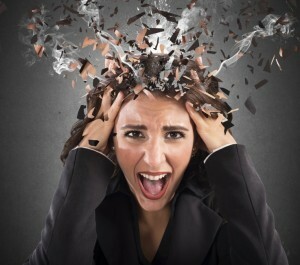 Wondering if YOU have an anxiety disorder? Following are some common traits of folks who suffer from anxiety that can help you figure it out.. Always feeling tense perhaps balling fists, clenching your jaw, etc. Most “cures” for anxiety are worse than the problem! You see, getting to the root of a person’s anxiety problem is complicated. It can be caused by so many things. Some people with anxiety experience low cortisol and high levels of epinephrine, which keeps them in a state of constant perceived threat. Others may have low levels of the brain chemical serotonin, while still others may have a genetic tendency toward anxiety or learned it from their family. Rather than root out the cause of a person’s anxiety, most docs simply turn to prescription drugs. This is a crazy idea if ever there was one, as many anxiety sufferers are already self-medicating with drugs and alcohol. It’s like giving the wolf the key to the henhouse. Long-term use of these drugs can lead to physical and psychological dependence. Side effects include confusion and memory loss. Sudden, unsupervised withdrawal could even kill you. Plus, they have been associated with increased risk of falls and motor vehicle accidents. You get the picture-these drugs are bad news unless used with great care and discretion. And that’s often not the case. Fortunately, if you suffer from anxiety, you don’t have to be sentenced to a lifetime of misdiagnosis and ill-advised treatment. Following are 10 supplements and techniques that can significantly improve your life if you are suffering from anxiety. Theanine is a calming amino acid found in green tea. It helps you focus and think better, and it reduces blood levels of stress hormones epinephrine (adrenalin) and norepinephrine (noradrenalin). It also acts gently and safely at the same brain receptors targeted by common tranquilizers like Valium and Ativan. Try 100-200 mg once or twice day. Taurine is getting a lot of interest from medical researchers and clinicians, who are impressed by its ability to reestablish the balance between glutamate, an excitatory neurotransmitter, and GABA, a calming neurotransmitter. It is also involved in the production of serotonin. You can use 1000-2000 mg once or twice a day. 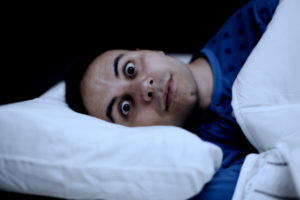 Valerian has been used in Europe for over 100 years to treat insomnia. It has been used in combination with passionflower and St. Johns Wort, and it has been more effective than Valium in small trials. Try 150 to 300 mg in the A.M. and 600-900 mg in the P.M. in standardized formulations containing 3.3 percent valpotriates. We recommend formulations from Nature’s Way and Mediherb but a supplement from any quality manufacturer is fine. It takes two to three weeks for valerian to take effect, so it cannot be used to treat acute anxiety or insomnia. Magnesium is an incredibly versatile mineral and it is lacking in most Americans. Most folks suffering from anxiety are probably low in it, too. We recommend 400 to 1200 mg of magnesium citrate, orotate, fumurate or malate, which should help you sleep. Don’t bother with magnesium oxide, which is poorly absorbed and more likely to cause diarrhea. NuSera is a latte-flavored soft chew from a company called Metagenics. Within 30 minutes it has a noticeably calming, relaxing effect. Research on the active ingredient, derived from milk protein, shows that it reduces the stress response and calms GABA receptors in the brain. Because NuSera can work so quickly, it’s worth keeping some on hand as an “as needed” anti-anxiety aid. Alpha Stim is a well-researched, safe product that sends a very low-energy, electric waveform through your brain. It’s been used extensively to treat pain, depression and especially anxiety. Access to Alpha Stim devices is only available through licensed health care practitioners. It can be highly effective for anyone suffering from debilitating anxiety, especially when accompanied by chronic pain. Some form of structured breathing should be part of any anti-anxiety program. Deep nasal breathing activates the calming branch of your involuntary nervous system, reduces the stress response and quickly brings about favorable changes in your brain chemistry. Most Yoga programs include Pranayama breathing. We also recommend the easily learned and applied Buteyko breathing method (www.buteyko.com), devised by a Russian physician, and sudarshan kriya breathing methods, which you can learn at courses given worldwide by the Art of Living Foundation (www.artofliving.org). Tai Chi Chuan is a traditional Chinese medicine practice. It incorporates soft movement, breathing and focusing your mind to promote health and longevity. Tai Chi is an excellent way to reduce stress. Think of it as meditation in action. You can practice it alone or in a group. It is now widely taught in community centers, schools and hospitals across the country. As with all mind-body therapies, regular practice and lifelong commitment is key. Centering prayer traces its roots back to early Christianity. It involves emptying the mind of all thoughts, achieving an inner silence and focusing on the presence of God, or a greater universal being beyond oneself. In its practice, it bears a striking resemblance to other forms of prayer and meditation from the world’s great religious and spiritual traditions. It offers the promise of profound, long-lasting results to those who are inclined to make a strong commitment. Biofeedback is one of the best studied forms of stress reduction and anti-anxiety therapies. It uses devices that measure quantifiable bodily functions such as heart rate, blood pressure, skin temperature and tension. You become aware of these functions and start to exert conscious control over processes once thought to be involuntary. And it works quickly. In terms of its benefits, it’s like an effective, accelerated form of meditation. Heartmath (www.heartmath.com) offers excellent, easy-to-learn programs. As always, you’ll get best results when you tailor treatment to your individual needs, combine multiple therapies and work with an experienced professional. Any anti-anxiety program also should include a whole foods diet with plenty of healthy omega 3 fats from fish and B vitamins. Exercise at last five days a week, and remove unnecessary stimulants, such as nicotine, drugs and caffeine. Also consider trying acupuncture and massage, which help some people break the anxiety cycle. 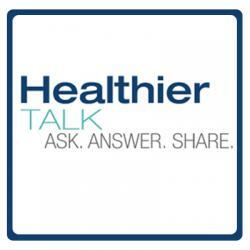 Healthier Talk is a place for learning. It is a place for sharing. It is a place for healing. It is a place with universal goals: staying healthy and feeling great. We believe that everyone has good ideas about how best to care for our loved ones and ourselves. Many of our contributors are doctors that have spent their life’s work invested in the health and well being of the human body and mind. Some have spent their lives tirelessly researching health and the human body, developing new vitamins and products dedicated to making people healthier. Others are ordinary people that have natural family cures passed down from generations, or discovered an inexpensive home remedy out of necessity or even by accident. So Healthier Talk not only offers professional advice and solutions, but also provides much sought after natural family cures and at-home remedies, right at your fingertips! The knee-pain surgery scam – and how to AVOID it! Nearly EVERYTHING you’ve been told about heart disease is WRONG! CHOLESTEROL confession: The problem ISN’T your LDL! Ready to jump start your diet… starting RIGHT NOW? Follow these eight fool-proof tips to help you reach your weight loss goals! The Best part is... these tips are cheap -- OR FREE! -- and you can do them right at home. As an added bonus I'll also share with you 5 natural supplements to shed stubborn belly fat... fast! Please let us know what you think about this article. All comments will be moderated before being posted publicly. I could not fine this doctor’s name on any of the board of Noah and director of INtergrated Health Solution. Can you take theanine, taurine and valerian together or should you start with just one to see how it works? Ready to jump start your weight loss… starting RIGHT NOW? 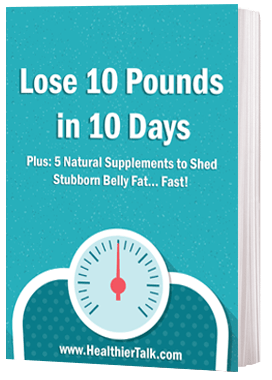 I'll share with you 5 natural supplements to shed stubborn belly fat... Plus 8 fool-proof tips to help you reach your weight loss goals... fast! This site is for informational purposes only. It should not be taken as medical advice.